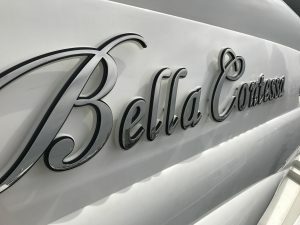 Whether you want a clean simple design or a more complex design that has no limits, we understand this is an extension of your unique reputation. Nothing speaks louder about your individuality! 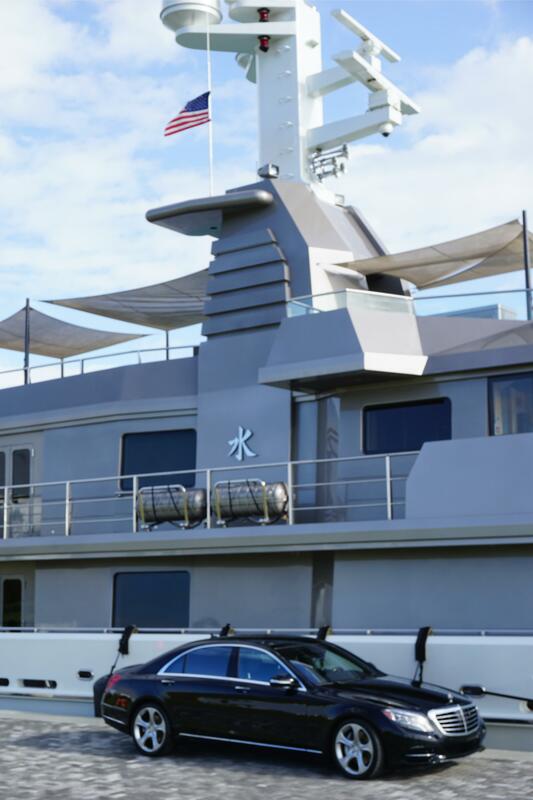 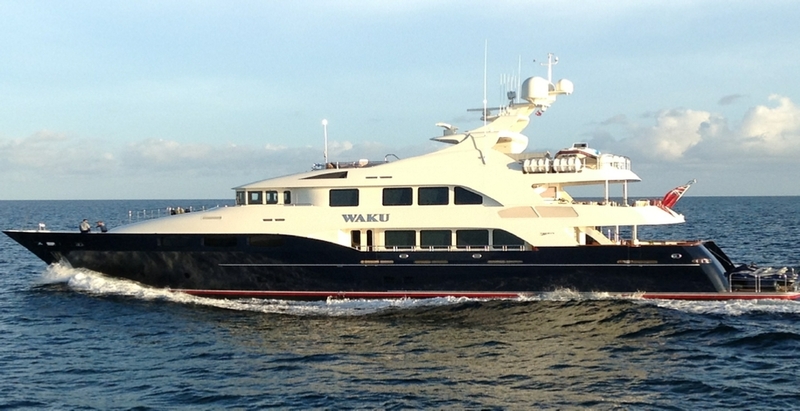 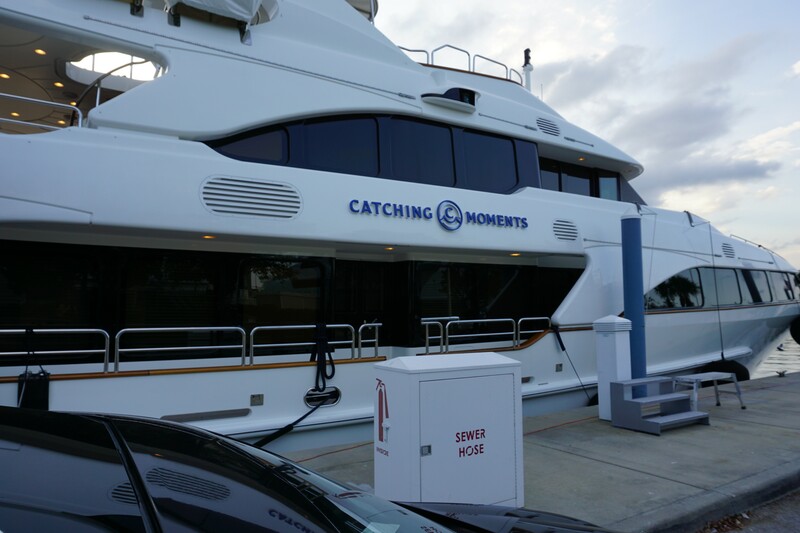 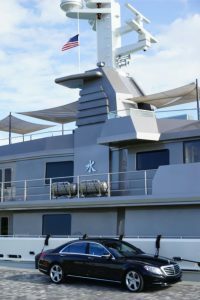 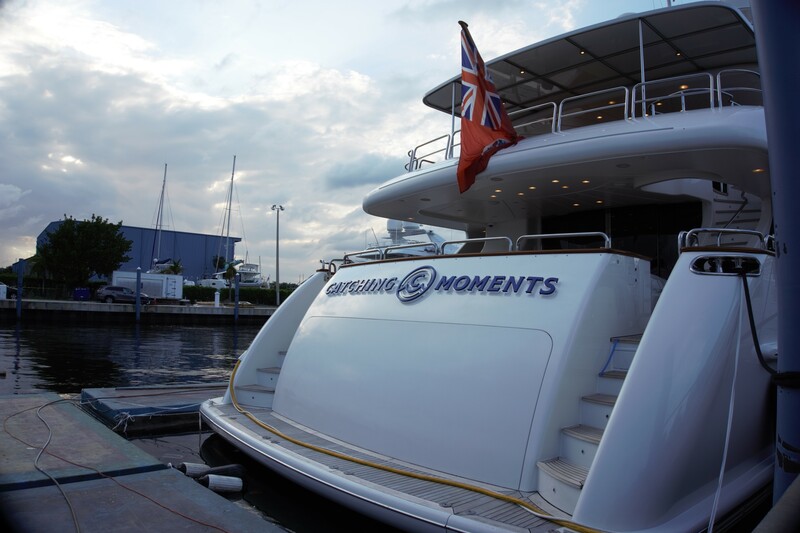 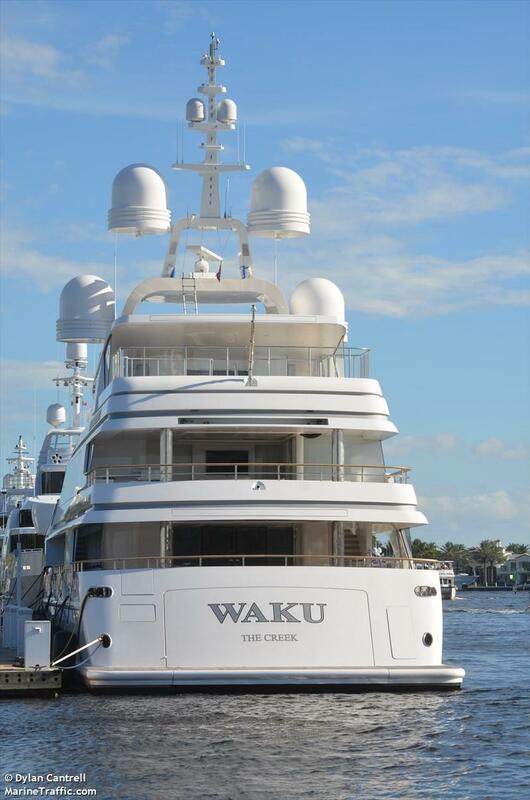 That’s why it is important to have the best imprint in South Florida on board your luxury vessel. 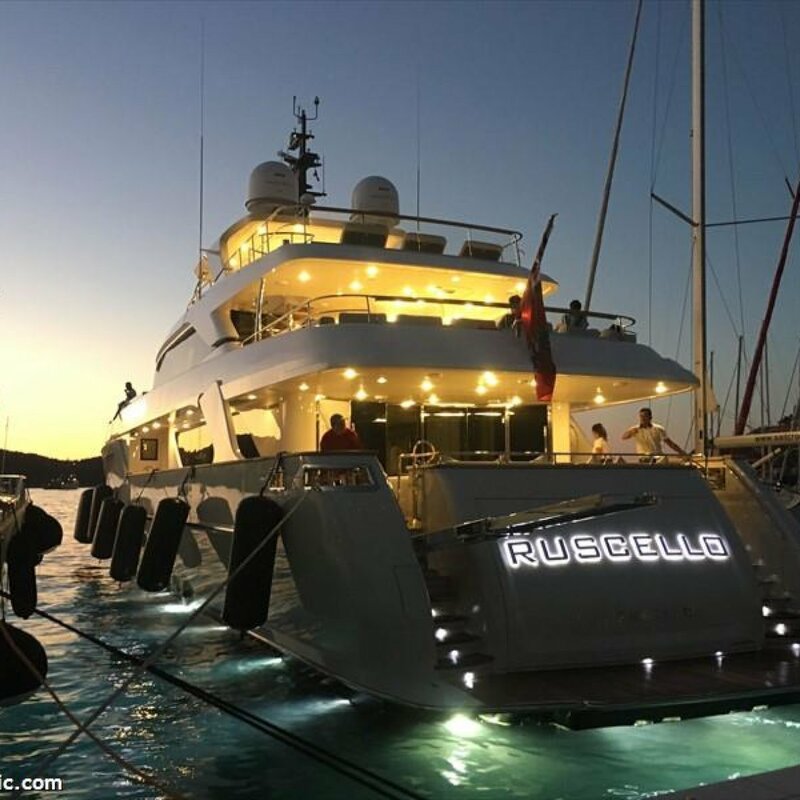 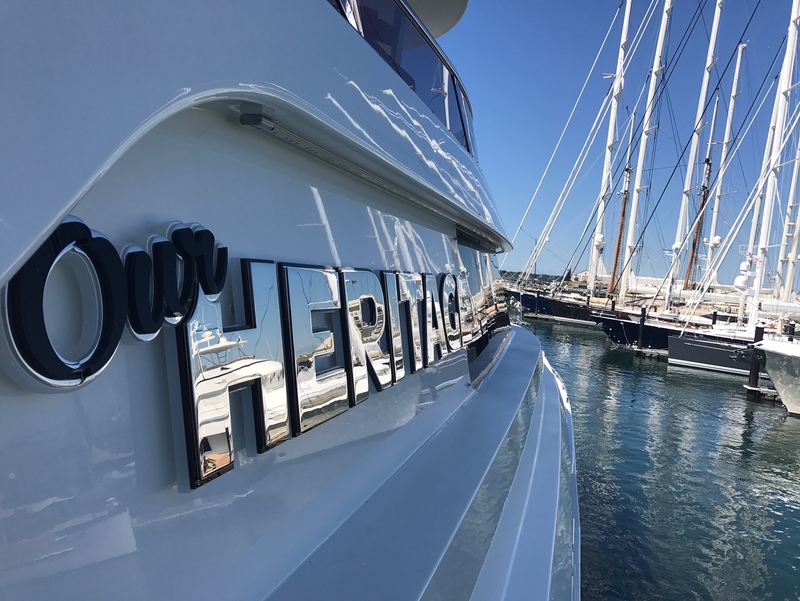 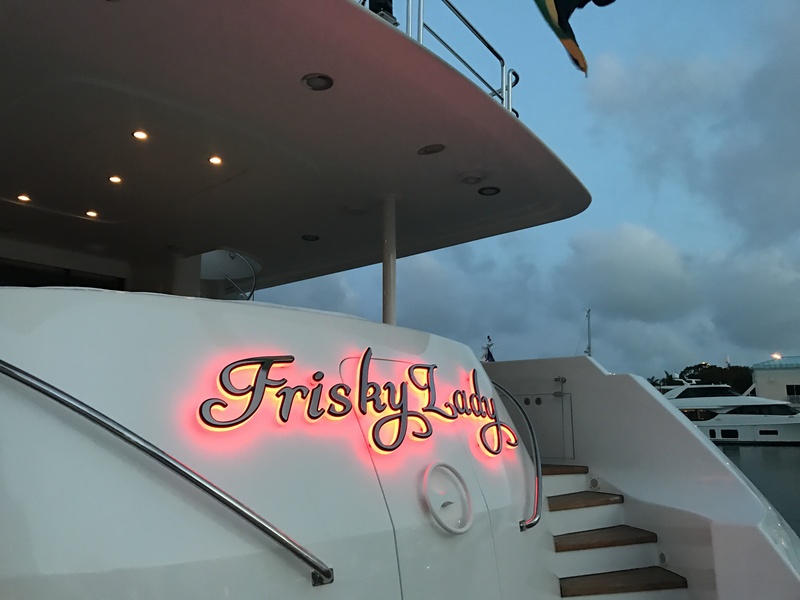 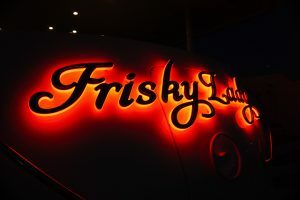 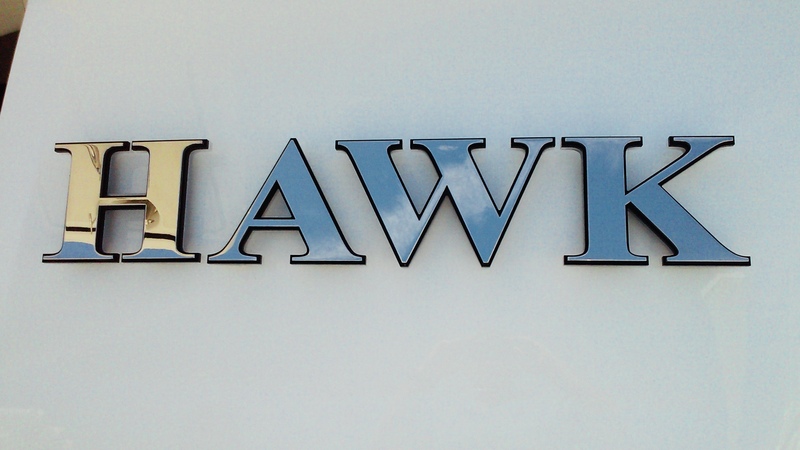 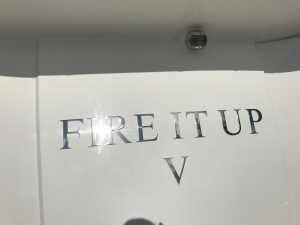 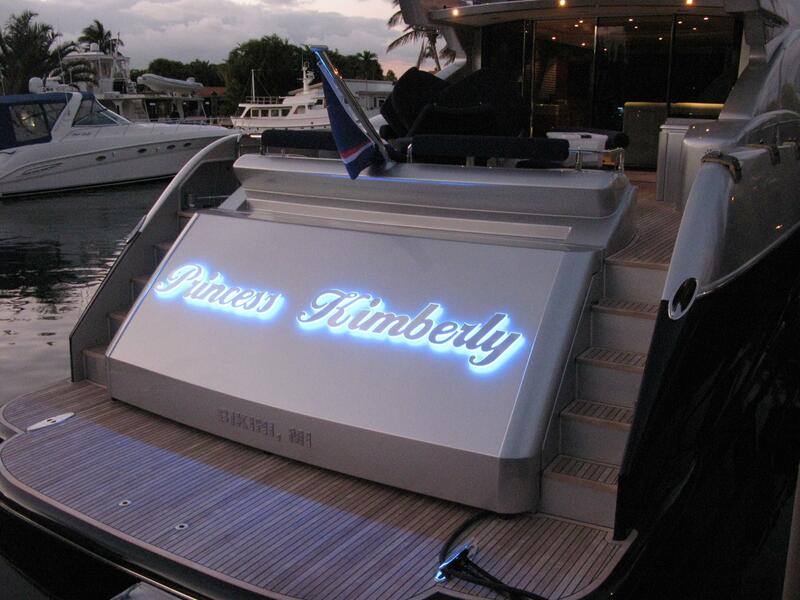 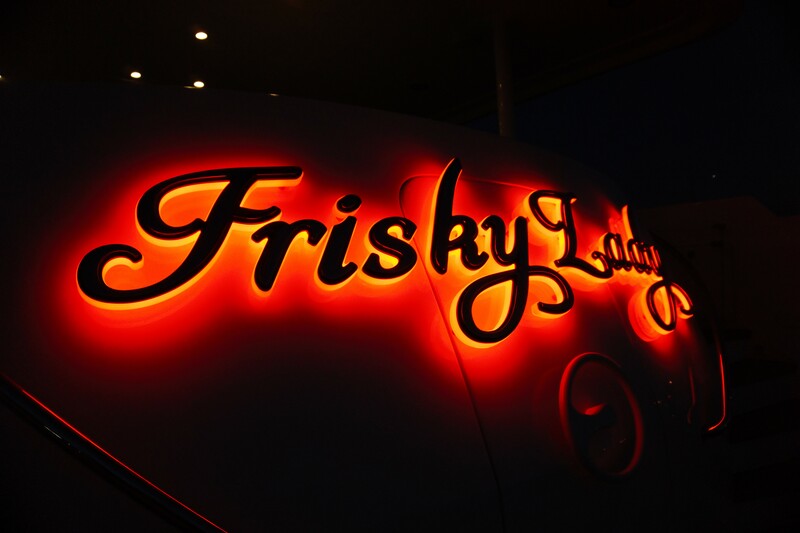 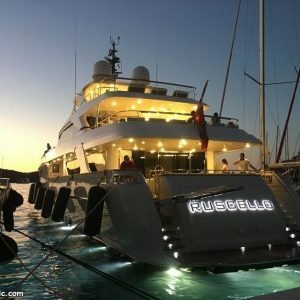 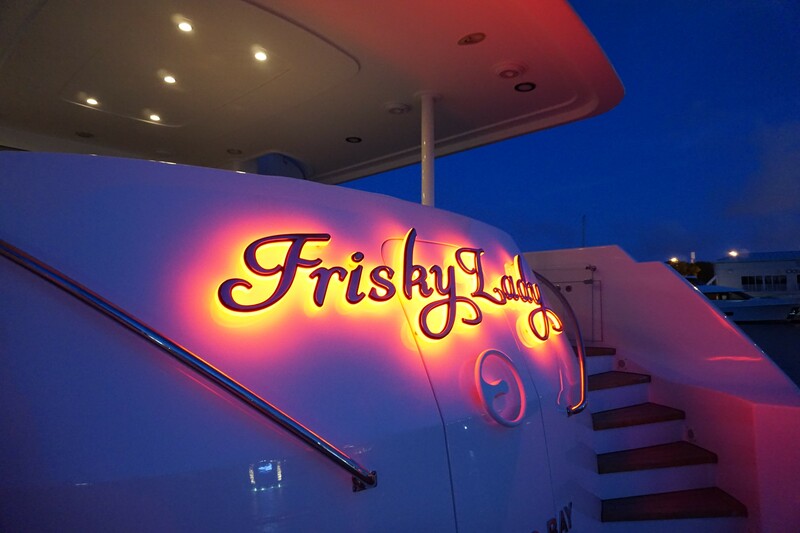 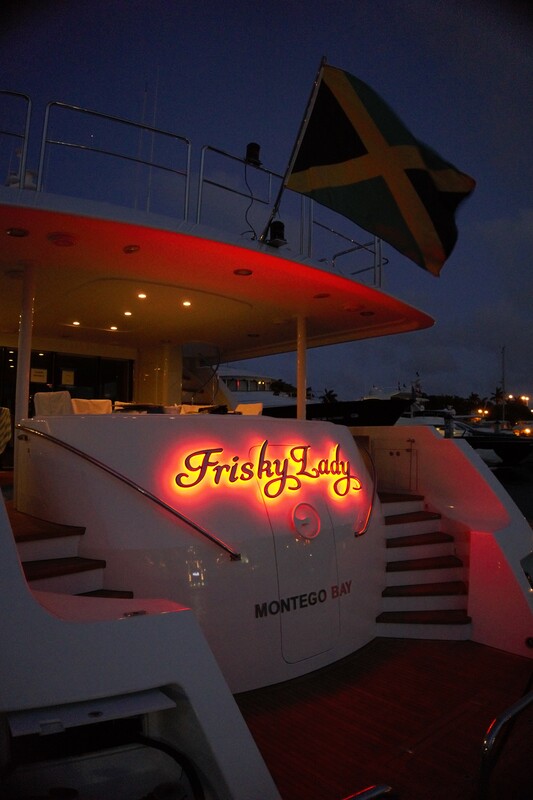 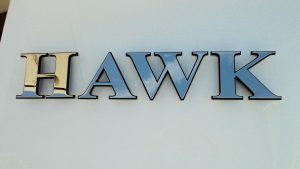 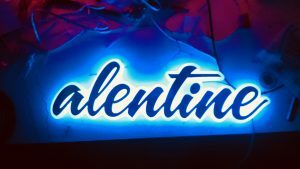 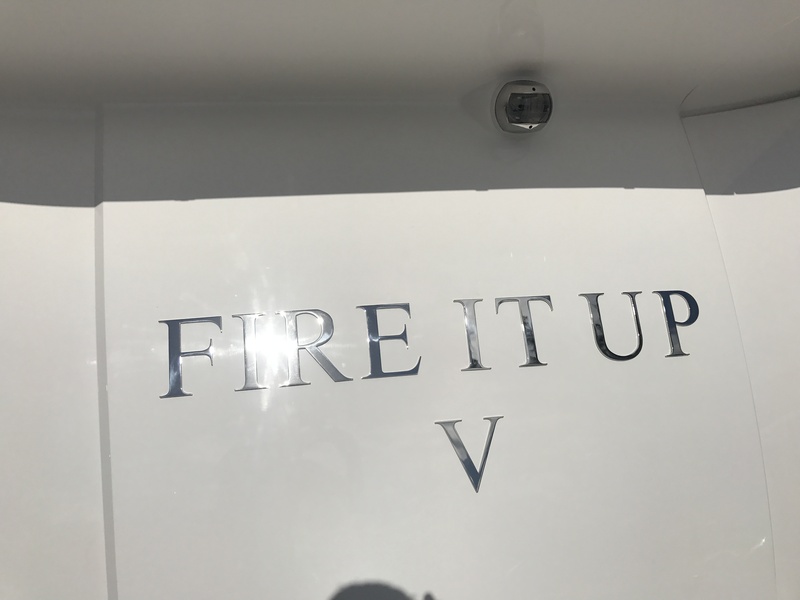 Everything from font, lighting, and materials are custom designed in-house with you or your representative (s) Thirteen years of experience we will help you with all your yacht lettering name needs and or redesigned name. 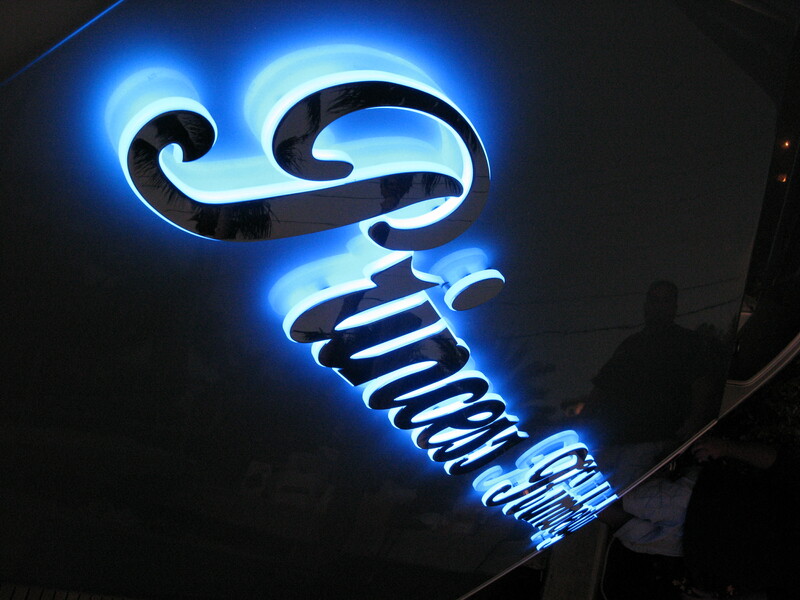 We cant wait to help you with your new look, give us a call today! 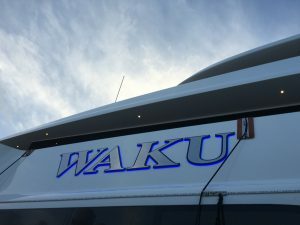 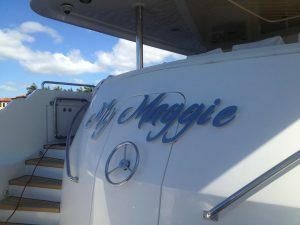 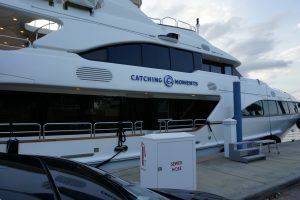 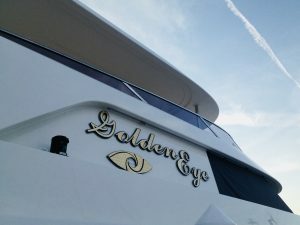 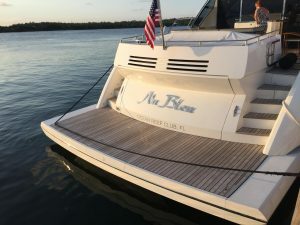 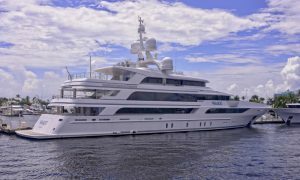 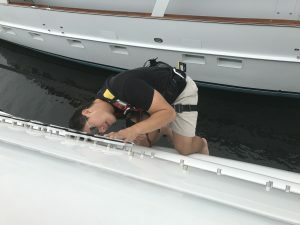 What makes us unique from any other yacht lettering company in South Florida? 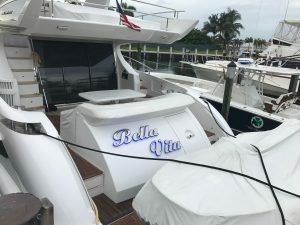 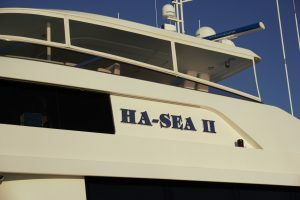 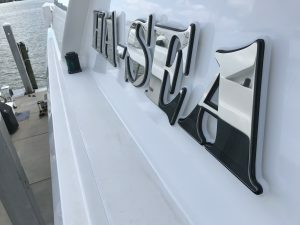 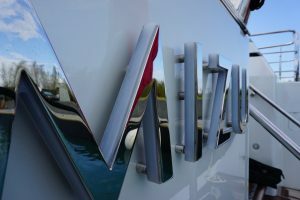 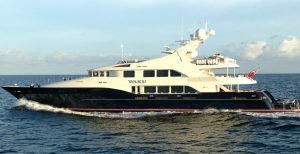 We have been making vessel sign lettering in South Florida for over a decade and have worked with some of the finest owners around the world, from small vessels to grand. 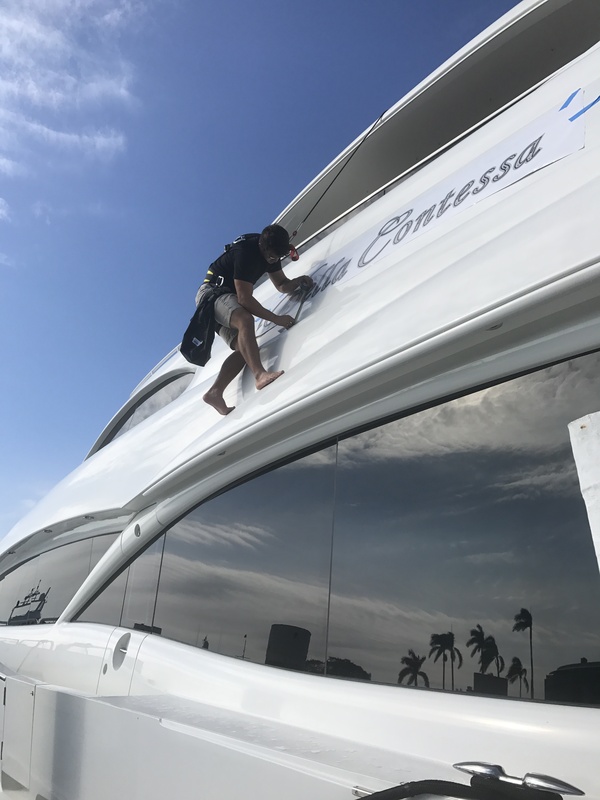 Each client receives the same attention to detail which keeps our clients consistently coming back as they upgrade their yachts. 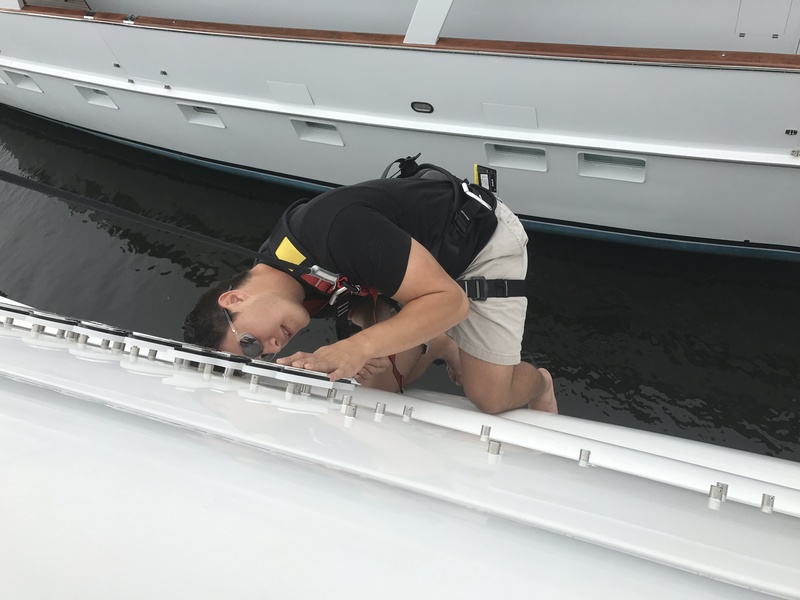 For decades of experience in the marine industry helps us better understand any challenges that may arise from design, production and or installation of our projects. 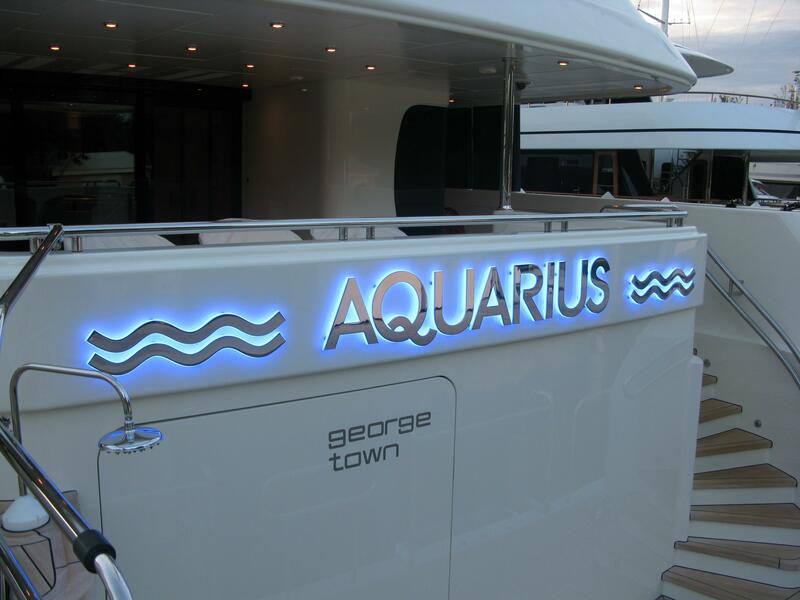 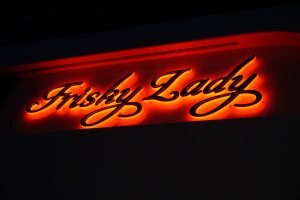 In all of our jobs we use the finest materials from high performance vinyl that’s used on a daily basis, to the American made steel that goes into our premium lighted names. 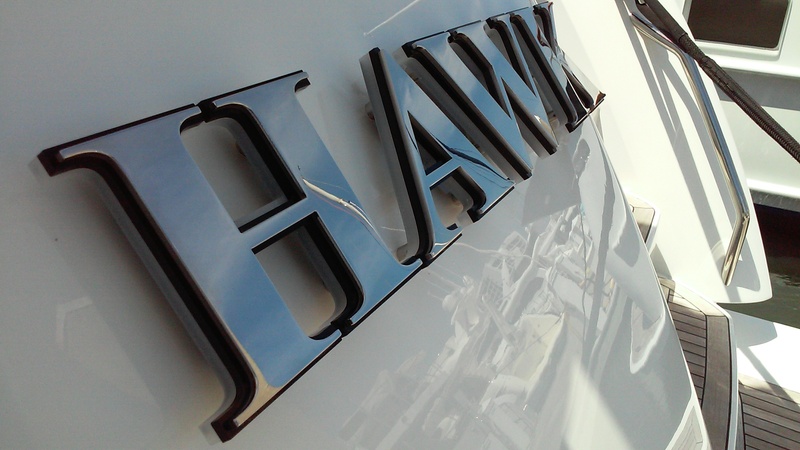 All this plus our team of professionals will make our business the best for your yacht needs.